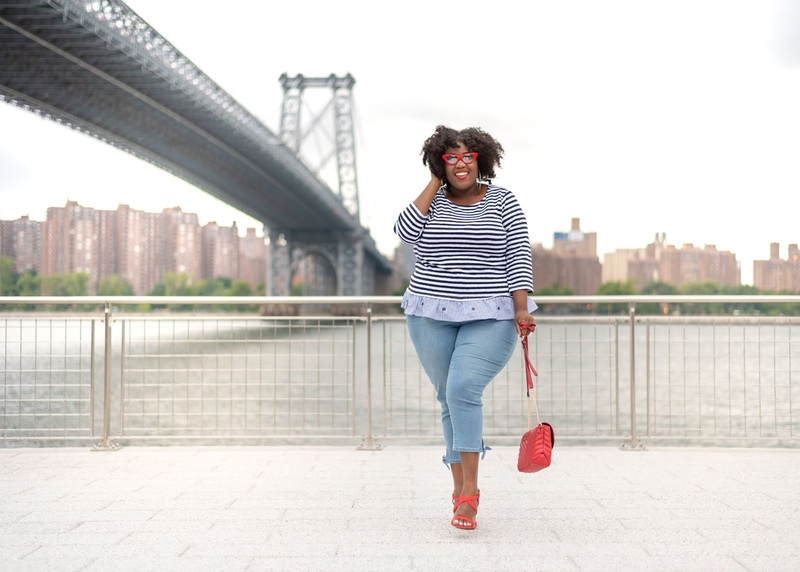 This blog post is sponsored by Talbots. Hey ladies! I am back with another fun look. This time, I am super casual, but still on trend. It is almost the weekend and I am enjoying "my" time of relaxation, before the busy work week ahead. I love incorporating everyday pieces into my existing wardrobe. Talbots creates classic everyday pieces that every woman should have in their closet. 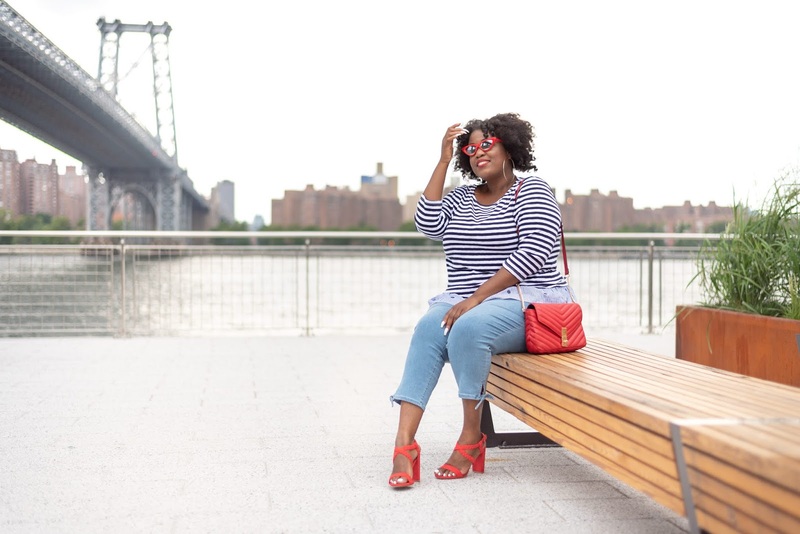 With this look, I wanted to keep my style super casual, and Talbots was the perfect option for me. I am wearing a basic stripe top with their light wash tie hem crop denim pants. These pants are hands down one of the softest and comfortable pants I have owned. I was able to move around and walk for a long distance in them. I also was able to sit down for a long period of time without feeling uncomfortable. These pants were fitted, flattering, and high waisted, which is very important to me in my book. 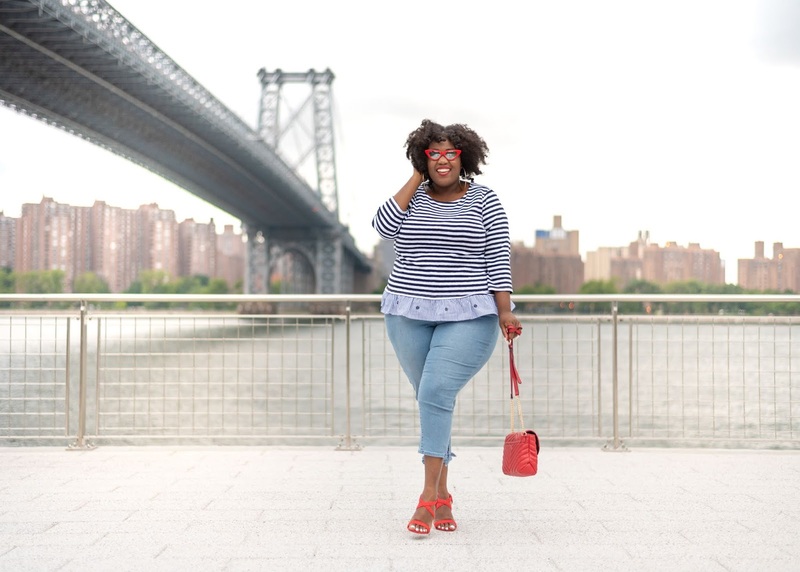 For styling, I decided to wear my favorite red shades,purse, and some strappy heels. These heels may not look comfortable, but they are. 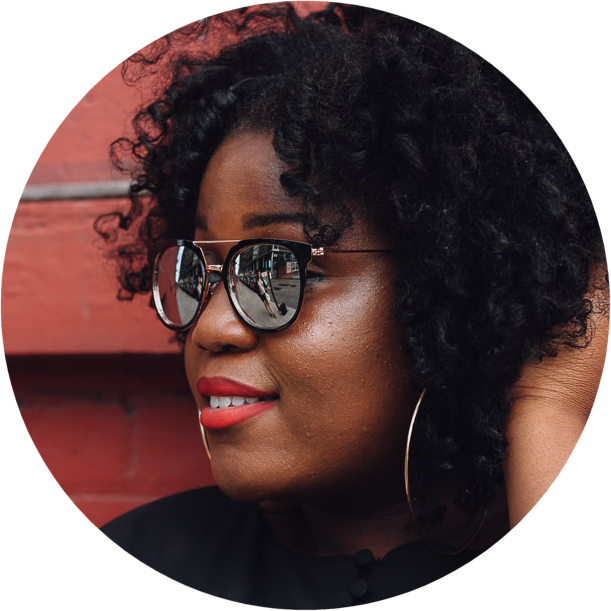 This look captured how to effortlessly style classic pieces and make it work for you. Shop my look Here! 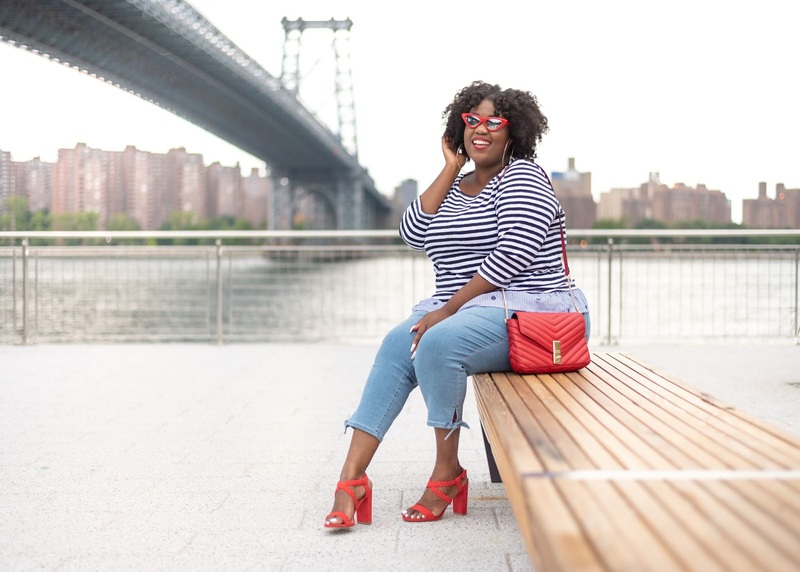 Check out Talbots and shop their denim collection!